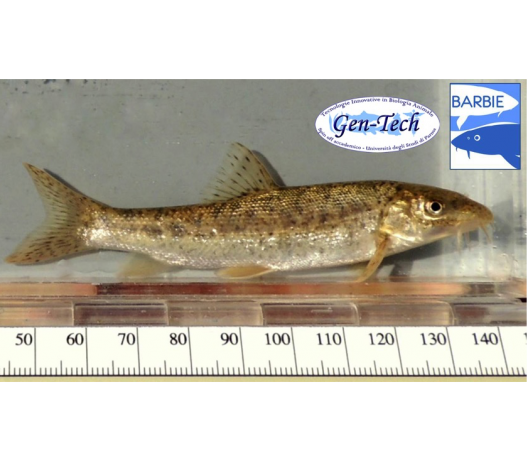 Arctic char is a native of the Alpine lakes. It was imported to the Parma province in 1946, to celebrate the end of World War II. 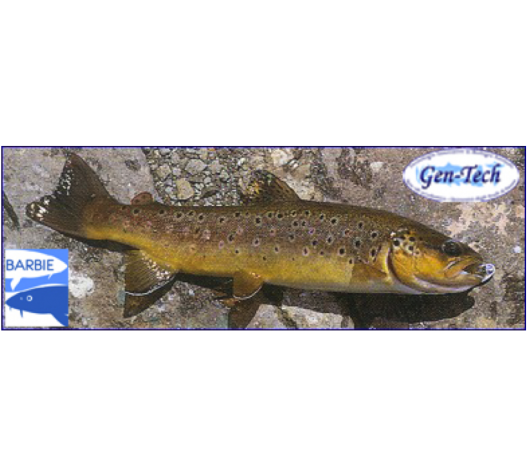 The brown trout is indigenous of mountain rivers, and is one of the most appreciated species among fishers. 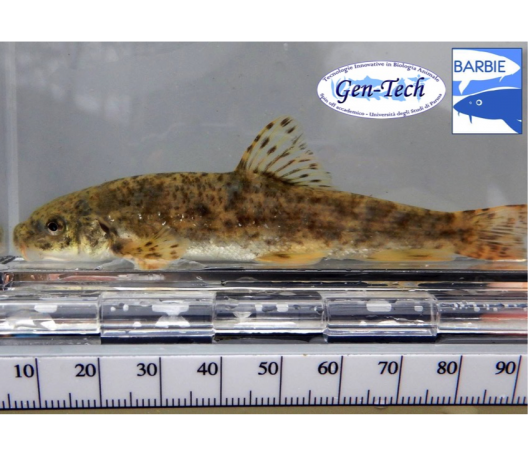 Its spotted coat helps the fish to be camouflaged with the surrounding environment. 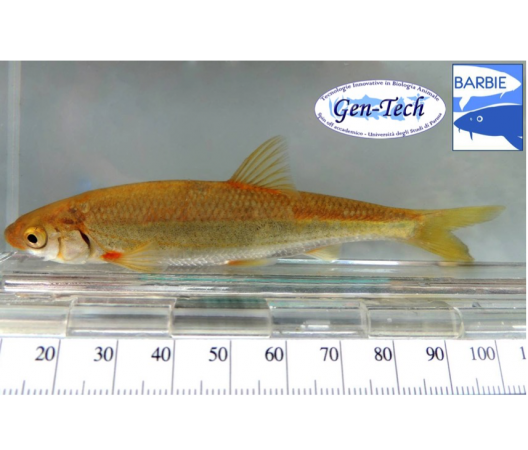 These two cyprinids are considered endangered species and are very important in conservation ecology because they're good bioindicators of fluvial habitats. 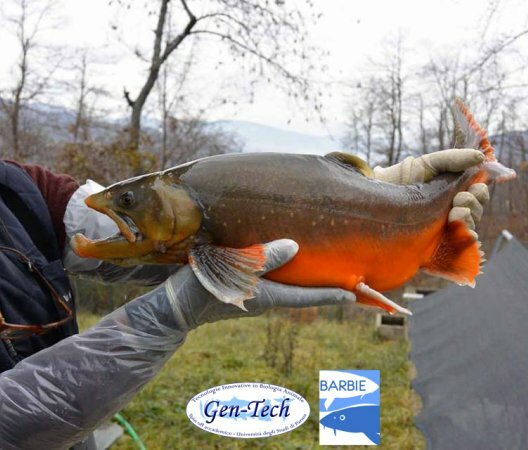 Click for information about Project LIFE Barbie, an conservation program supporting the Italian Barbel. 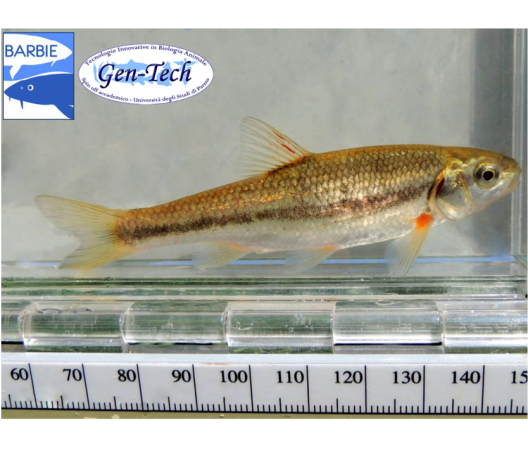 These two small cyprinids are typical of the rivers in northern Italy. 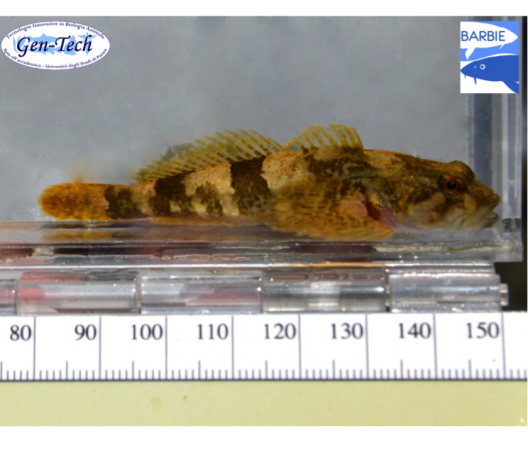 This fish has a large and spiny head. It's nocturnal; during the day, it hides under rocks or among water plants.